March 15, 2019 March 2019 Comments Off on Book review. Perusing the Library’s book files can be a worthwhile exercise – the four South Wairarapa Libraries’ files are available on the combined library website with books from neighbouring libraries being able to be ordered for pick up at the local library the following day. An excellent service. 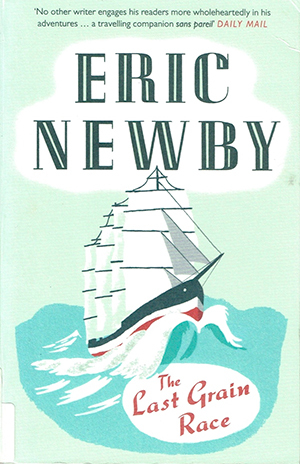 It was while so looking that I spotted this book ‘The Last Great Grain Race’ by Eric Newby. 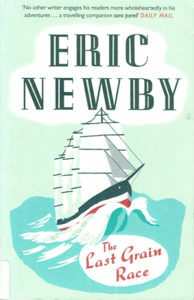 The book was first published in 1956 and has recently been reprinted by Harper Collins – Bless them. March 15, 2019 March 2019 Comments Off on Cooking corner. 3 cups vinegar, 2 cups sugar, 2 teaspoons salt, 2 tablespoons mustard and boil for ten minutes. Add minced ingredients to liquid stir and bottle. Keep at least ten days before using. Slice 4kg green tomatoes and cover with 200 gr salt, leave overnight. Pour off liquid and add 450gr apples, 250gr sultanas, 2 or 3 onions, ½ teaspoon ground ginger, 250 gr brown sugar,1 teaspoon mustard, and 700 ml vinegar. By the time this goes to print, the new Waihinga Centre will have been opened three months and it is great to see so many people using the Library, Toy Library, Plunket, I-Site and Knucklebone Cafe. Just recently, I had the pleasure of having afternoon tea in the cafe and sitting there looking out at the Cruize Martinborough vehicles – people using the Square and also people using the centre itself. It was great to see and be part of the vibrancy of the Centre and town. RAY BUSH has discontinued his electrical business and is now enjoying well earned retirement. THE LONDON GUARDIAN newspaper has replaced its plastic wrappers with 100% biodegradable Bioplast which is made from potato starch. This is made from reject potatoes from the potato growing regions of Eastern Europe. LOTTO SALES jumped 28% over the last two years. Sales have now reached $1.25 billion a year. MASSACHUSETTS Institute of Technology researcher has discovered millions and millions of tiny sea creatures six microns in diameter ( one two hundredths of the size of a human hair) These oval shaped creatures absorb carbon dioxide from the sea water and emit a tiny amount of oxygen which then escapes into the atmosphere. They inhabit the water between 40 degrees north and 40 degrees south.